Bucs cornerback Darrelle Revis, scheduled to make his first start for the Pewter Pirates Sunday against the Jets at the New Jersey Swamplands, seemed puzzled if not irked by Jets rookie starting cornerback Geno Smith. It seems Smith had recently mentioned to the New York Daily News that he spent the better part of the past two weeks studying film of the Bucs but has yet to watch one clip of Revis. When asked for a reaction, Revis seemed dazed. 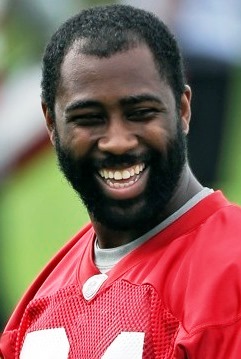 Rubbing his non-Grady Wilson beard and pausing in thought, Revis said, “I don’t know why he wouldn’t watch” tape of [me]. “I’m going to be there. I’m going to be on the other side” of the ball. Revis has been much like an assistant secondary coach this week, helping his teammates prepare for the Jets. “I practiced against those guys every day,” Revis said, as he gave an improptu scouting report on some of the Jets receivers. Revis admitted he has been helping Leonard Johnson, Dashon Goldson, Johnthan Banks and Mark Barron with insider information on how to defend Jets receivers. Revis even noted he has spent time with Bucs offensive coordinator Mike Sullivan as the second-year Bucs coach picked Revis’ brain for Jets intel. This game is shaping up to be some excellent red meat for Bucs fans! We’ve been starved for handing out a good beat down for some time! Not even on the field yet, and already Geno’s made a rookie mistake lol. I hope he gets ballsy and throws at Revis. That’s what i basically said in the article Joe wrote about how the Jets will try to test and pick on Revis because he might be rusty. I’ll settle for an injury-free win! Save the beatdown for the Saints!!! I really admire revis’ desire to teach his defensive teammates. Lets start the season with a W!! He won’t be that stupid! Revis won’t get thrown at. Let them keep being ignorant, it seems to be their mindset throughout the organization! Can’t wait to see Revis pick 6 the rook! McCoy /Spense eat up the blockers enroute to a Geno sack by AC! Welcome to the NFL young man…Don’t take us lightly! Geno was an arrogant and immature snot during the draft. It’s hard to imagine humility sneaking up on him since then. The difference is that he’ll be playing in a real game against a first team NFL defense. The Bucs will be bringing the house. Touchdown Gus ….Gus you hit the nail right on the head! Good observation….look at the difference between guys like Cam Newton & Geno vs. Doug Martin & even Josh…..
Humility is something that you usually have for quite a time. One can develop it over time but not quickly. The one thing the Bucs need to take account of is designed roll outs, draw plays, quick screens etc. The Jets will be doing everything possible to have him unload the ball as quickly as possible. with a rookie QB, we’ll be stackin that box all day. Getting rid of the ball quickly seems to be the plan against the Bucs for most teams. We need to play tighter on their recievers off the line. Hopefully, the additon of Revis, Goldson & the development of Barron & Johnson will help us do that. 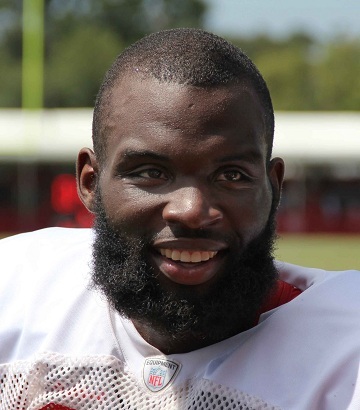 Very little coming out of OBP can be taken at face value…..Nicks starting, Leonard Johnson number one on the early week depth chart, Revis will play……Schiano won’t show his hand. He may be weak at intra-game adjustments of the game plan, but he seems to have this psy-op deception down pretty well (ie not showing anything during preseason). Revis is going to pounce on a throw and make everyone stop and think “wow”. What makes Revis isn’t just the physical ability, it is his Kobe Bryant like inner drive that separates them. Its going to be great to finally see Revis on the field. 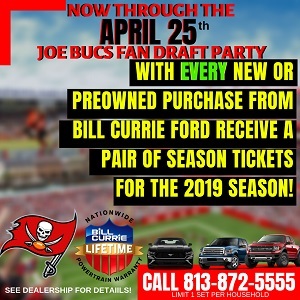 Everybody is worried about the Bucs because of the pre season. On sunday we finally see our first team defense together as a unit. They will dominate the jets and only get stronger as the season goes on. 10-6 and a wildcard berth is in sight! Wow……….I hate to be the only realist. This is the NFL people which mean any given Sunday. Like the old folks use to say, don’t count your eggs before they hatch. The bucs can not go into NY taking this team lightly. If they do, we can walk out with an L (think Detroit in 2010). This is a big season for the entire organization and any oversight would be a bad mistake. I can’t stand Buddy Ryan’s fat, foot loving, pompous son. He must realize that he needs to limit the exposure of his hand-picked QB who, like Rex, is really full of himself. If our mighty defense can force him into early mistakes Geno will start to pout and mope on the sidelines. Our game plan needs to be simple…..protect the ball. Make the J…E…T…S work for everything. Revis is miffed, or is it “disrespected” because Smith hasn’t looked at film of him. Boo hoo! So Geno Smith hasn’t seen Revis play…neither have we. So far it is only talk…no action. Perhaps Smith didn’t need to look at film because the staff of the Jets has filled him in on what he needs to know about CB Revis…just like Revis has done with the Bucs secondary. Or perhaps they knew that by telling the press that he hasn’t looked at Revis he would get under his skin, and when that happens all too often mistakes are made. I’ll wait and see, but we need not be too cocky…we’ve proven nothing in pre-season.